Bored? Stuck on a backwater swamp world with only an irritating hand puppet for company? How about passing those long damp evenings, after romping around all day elevating things and confronting your suppressed inner demons, by building this Battle of Hoth (ahh, happy days!) 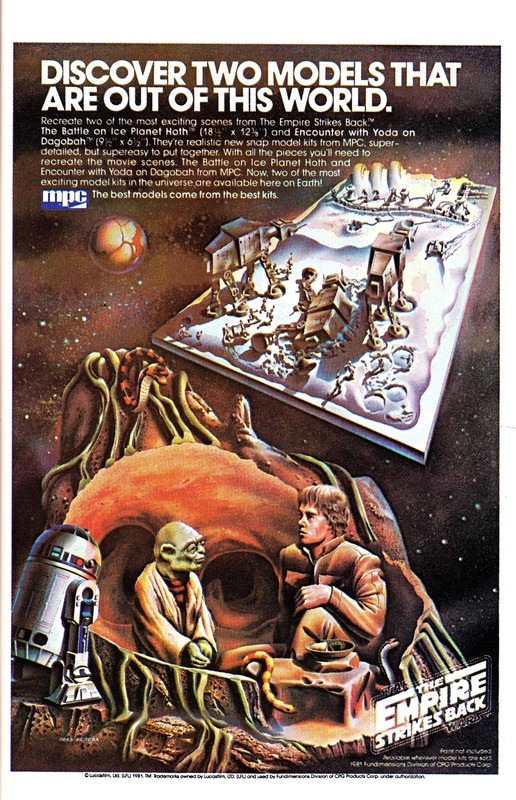 STAR WARS snap-together model kit from MPC. This stateside advert appeared in US MARVEL COMICS dated February 1982.